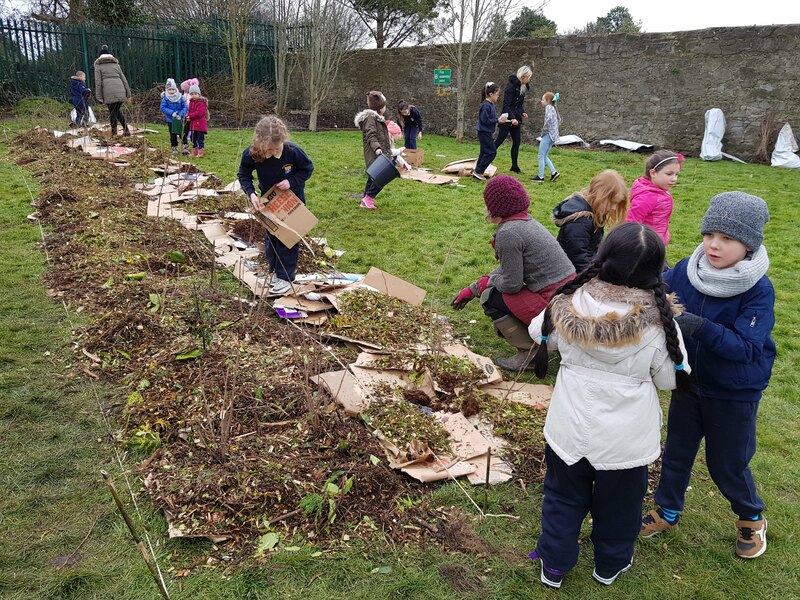 Scoil an Mhathair Dé, South Circular Road, Limerick has been enrolled in the LEAF programme since 2016. This city based primary school has a highly diverse student base. 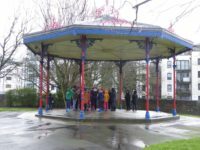 The children are drawn from an urbanised catchment, often without gardens or access to green spaces. There are 240 students enrolled and 23 teachers. For the school year 17/18, the school selected Forests and Biodiversity as their LEAF Theme. While working on the LEAF programme the school kept the LEAF Learning Objectives central to their work. The school year began with a LEAF visit to deliver resources and discuss a plan for the year ahead. 2017 happened to be a good year for acorns in Ireland, so LEAF officer, Ray Foley, was able to give the school a bag of them ready for planting. He also supplied the LEAF Acorn Growing Guide. This project provided an interactive backdrop to an exciting year of learning for the school students. The LEAF School Based Workshop consisted of identifying and mapping the mature native trees on the school grounds. There was a wide selection, which included birch and oak as well as free seeded ash and hawthorn creeping through the boundary fence. Each student created a map of the grounds and was assigned a project on returning to class. They had to identify the biodiversity the trees could support. For example, what birds used the red berries of the Hawthorn tree as forage, deep into the autumn. This aspect of the project was useful in helping the students understand the ecological web. The LEAF Forest Based Workshop took place at Coillte’s Curragh Chase Forest Park. 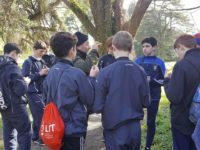 It consisted of woodland based lessons in tree measurement, biodiversity identification and investigation along with the sharing of information on our native lesser horseshoe bats, which are resident at Coillte’s Curragh Chase Forest Park. The trip to this large native woodland was an excellent opportunity for the students to experience and understand nature up close. In 2017 LEAF Ireland piloted the Tiny Forests initiative. The school has large grounds and given the limited access to nature the students have outside of school it was selected as one of four schools to receive a Tiny Forest. Over three days in March, LEAF team members, school students and teachers all pitched in and a Tiny Forest of 420 tress was planted on the schools grounds. 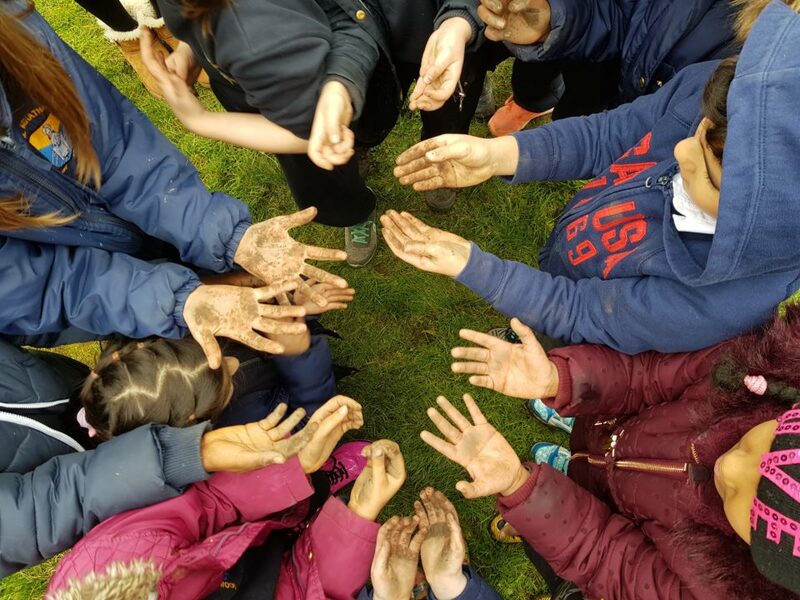 The process of digging soil, moving compost and finding insects and worms provided a unique opportunity for these city-based students to enjoy the outdoors. Oak saplings planted as acorns in class at the beginning of the school year were transplanted into the schools new Tiny Forest. With their new understanding of food chains and habitats the students now had a clearer understanding of man’s interplay with nature. The tree planting project was an over whelming success and will be a key element of the schools investigations into trees and forests over the coming years. This will help students learn to be responsible for their environments future.